with 208m², 4 bedrooms, swimming pool, dominant position overlooking the charming old village and the rolling hills and mountains, set on 4857m² of landscaped garden, on the edge of a village with restaurant, all amenities at a few minutes by car. 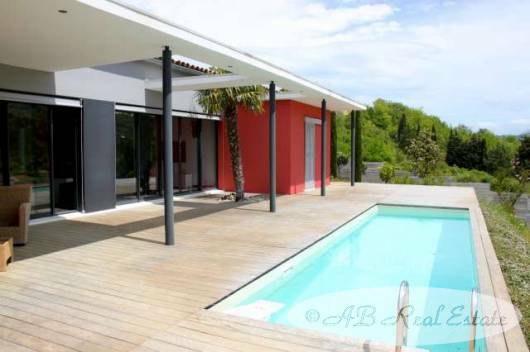 A spectacular and unique home with superb views surrounded by nature and on a walking distance from the charming local village with its café/restaurant. At only a few minutes drive to a larger village with all commodities. Ideal as a family house / holidays home, or for holiday renting!